MANCHESTER, United Kingdom, July 26, 2010 (AFP) - Manchester City manager Roberto Mancini admits he is ready to bid for Fernando Torres if the Liverpool striker shows interest in moving to Eastlands. Mancini was given hope that he may be able to sign Torres when new Liverpool manager Roy Hodgson revealed the Spain star has a "beef" with the club in the aftermath of a woeful campaign last season. 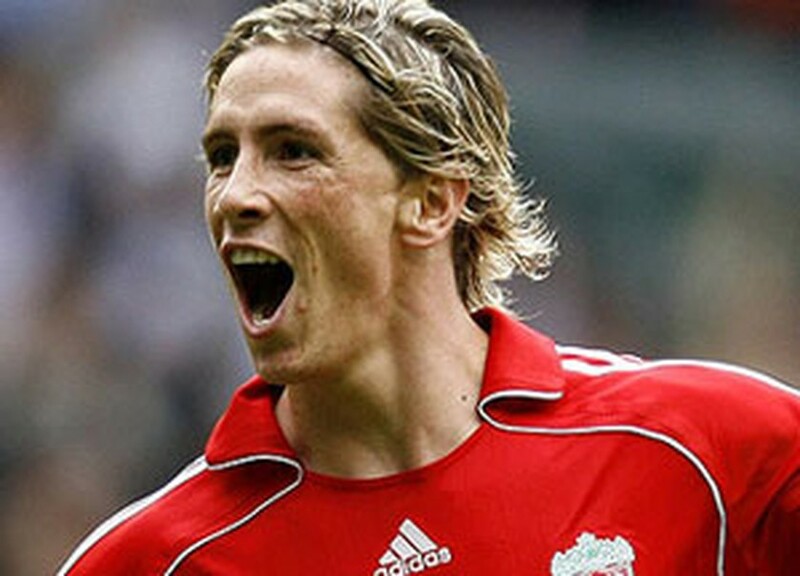 Torres has yet to publicly commit his future to the Reds and Mancini hinted he would love to continue his spending spree by tempting the former Atletico Madrid player away from Anfield. Mancini has already splashed out close to 90 million pounds on Jerome Boateng, Aleksandar Kolarov, Yaya Toure and David Silva, but City's Abu Dhabi-based owners are willing to pay the 50 million pound fee needed to land Torres, as well as chasing Aston Villa midfielder James Milner. "Torres is one of the best strikers in Europe and is already playing in the Premier League for three years and knows it very well," Mancini said. "But it depends on his situation - his price and whether he wants to come. "There are two or three strikers that we could go for, but it is the same situation as it is with James Milner. "First there is the price and then it depends if the players want to change team. Until today, Liverpool haven't bought many players." Although Aston Villa manager Martin O'Neill insists he won't let Milner leave unless City meet his valuation of the England international - believed to be around 30 million pounds - Mancini is adamant City won't be held to ransom. "When Manchester City enquire about a 10 million pounds player, the club asks for 20 million pounds. That is not good for us," Mancini said. "James is still a player who interests us but only at the right price." While the likes of Chelsea, Manchester United and Arsenal have spent little in the transfer market during the close-season, Mancini has continued to throw money around with abandon. The former Inter Milan boss, who took charge of the club in December, believes City's financial muscle has the rest of the Premier League running scared and he won't rule out a challenge for the title this season. "Are they scared? I think so. At the moment only Manchester City are buying players," Mancini said. "I think all these teams over the years have spent a lot of money - Manchester United, Tottenham, Chelsea, Arsenal, Liverpool but now City do. "We have a big opportunity to win the league if we believe in ourselves and do our jobs. We have improved as a team. "Last year, we fought for fourth place until the penultimate game against Tottenham - the aim this year is to try to win the Premier League. That must be our target."